Journeymen: why aren’t doctors more loyal to the NHS? The NHS is being dismantled, privatised, on that I think most are agreed. There appears to be a groundswell of resistance to this, at least there does if you spend time on Twitter. Here socially engaged, predominantly left wing commentators rally to the cause, but beyond the Twittersphere the story does not seem to attract much attention. The BBC is not interested, the press explore it fitfully. Anger is contained. It looks like a done deal. But what of those who work for the NHS? Surely doctors and nurses are fighting, demonstrating, complaining. I don’t see them. Do they have no loyalty? I’m not out there either. Do I? 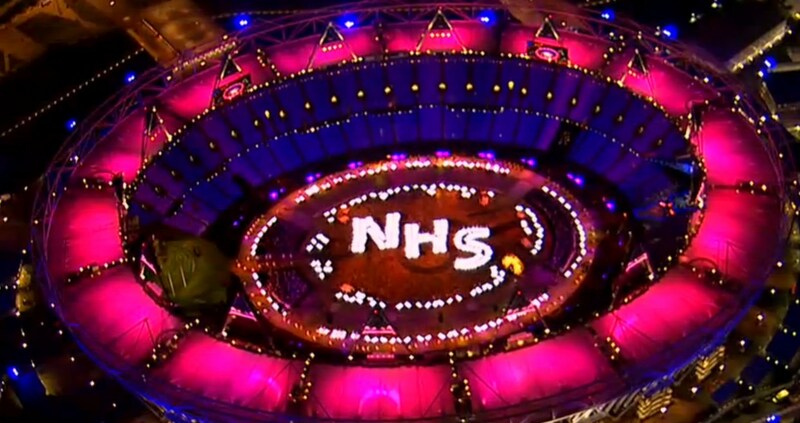 One way of assessing a person’s attitude to the NHS is to ask, in the manner of a market researcher, how they felt during the Olympic opening ceremony. You would assume that most health care professionals felt proud when those illuminated beds lined up to spell out the letters ‘N H S’ for the whole world to see. For me it was an abstract kind of pride. Perhaps that was because the Health and Social Care Act had already received royal assent, and many had identified it as the beginning of the end. Danny Boyle’s choreography seemed like a cheeky, even subversive attempt to signify national affection for a lost cause. The impression was not helped by the news (released before the Olympics were even over) that Trusts were being encouraged to export ‘the NHS brand’. It was that superficial term that caused me to ask myself – What does the NHS mean to me? To answer that requires an examination of my relationship with the NHS. And, like most employee-employer relationships, it’s complicated. Doctors, especially those in training, have not always been treated well by the NHS. Until recently the hours were hellish. Now the hours are better but the team-working ethos has been fragmented. Trainees struggle to find the time to study, and are forever cross-covering each other to free up days for essential courses. Some rotas allow no choice as to when holiday is taken, while others rely on the tradition of ‘internal cover’ by which on-call shifts that are ‘missed’ while on annual leave have to be paid back when the doctor returns. The MTAS debacle (a ‘deeply damaging episode for British medicine’ according to the man who led an independent enquiry into it, and one that I was fortunate to avoid) resulted in doctors leaving the country and the profession. Many complaints could be directed at administrative and academic bodies that are not part of the NHS: Modernising Medical Careers (MMC), Deaneries, the Royal Colleges or Medical Education England (MEE) – but the doctor in training who is struggling to progress cannot be expected to understand the subtle tensions that exist between these bodies, it just feels like the ‘system’ – the health service, the NHS. Doctors in training flit from employer to employer with great regularity. I think I worked for 9 trusts between qualification and consultancy. This unusual pattern of employment demands two qualities – adaptability and self-sufficiency. Adaptability is crucial, because you have to learn the ropes of a new hospital within days, sometimes hours, if your patients are not to be disadvantaged. Self sufficiency is equally important. The doctor who moves through an ever changing landscape of individual trusts seeks constant reassurance that their trajectory is correct, their educational development satisfactory, their emotional wellbeing monitored. They want to know that someone is keeping an eye on them. The system can meet these demands up to a point, but is designed to identify and assist outliers, the ones who are struggling. The majority will move forward, deal with their own problems and dig into their own resources to work through the crises they are bound to encounter…they will not be feel the warm hand of the ‘system’ at their back. So, when their training is complete and they find themselves reasonably happy with their lot, they will attribute their success to their own persistence and endurance. They will not feel grateful to the NHS for the help and encouragement that it gave. The pride that they feel will be personal. In a consultant interview one of the questions was “Will you work at XXXX, or for XXXX?” It was a good question, because it forced me to express the desire, in advance, to be loyal. I had not worked at the hospital and I did not yet know if it deserved such a commitment. Only a fool would have said, “Oh, well…ask me again in six months and I’ll tell you!” On further reflection the question suggested that there should be automatic loyalty to an employer. I asked myself if I had demonstrated loyalty to my previous Trusts? Had I defended them when they were criticised? Had I made an extra effort at work in order to strengthen their reputation? The answer was no. I had whined and whinged about the conditions as much as my colleagues in the pub after work. I had brimmed with frustration when I couldn’t get away for training days. My loyalty lay with my team, my mentors, perhaps with my department, but not with the institution itself. As the expiry date on my contract approached, as my ID card was automatically deactivated (sometimes a couple of days before I actually left), I recognised that I was another employee passing through. Close colleagues would say goodbye, emotions might run high (the most stressful jobs engender a ‘band of brothers/sisters’ feeling) but the hospital wouldn’t blink an eye. The NHS wouldn’t miss a beat. The day after I and my new friends left, a fresh group entered…and a smooth service was maintained. We are loyal to people and to places. The great mobilization of energy by staff and community in Lewisham, south east London, to defend the downgrading of their local hospital, is a case in point. Loyalty is an emotional response, fed by proximity and constancy. Medical trainees are rather like journeymen of old, moving from Trust to Trust, trading their nascent expertise for a salary, and for the training that ensures ongoing growth, then moving on. Such journeymen do not develop loyalty easily. Hasn’t the NHS rewarded its staff for the demands it has made? Of course it has…senior doctors are well paid, and risk opprobrium when they moan about conditions on salaries that approach or exceed 6 figures. But money is not the issue, because the changes that are being made will not take it away – and of course, doctors working in the private sector will not be excluded from the financial benefits that its expansion may present. There are deeper, more subtle rewards for working as a doctor in the NHS, but they require us to step back and appreciate how amazing our jobs are. It is easy to forget that working within the huge, impersonal structure has allows us to pursue a vocation. It facilitates the practice of skills that we competed to acquire, and provides the protections and guarantees that come with state sponsorship. Although progress through the system feels random and unplanned, it is at least guaranteed to those who pass their exams and maintain standards. Patients trust us with their lives. Why don’t these benefits engender loyalty? They do…but to the job, to the vocation. Not to the administrative structure within which we work. Perhaps we have been spoilt. Perhaps we will only notice how well we have been treated when that structure crumbles. To really appreciate that structure we need to look up and out, beyond the personal to the societal. If the defenders of the NHS are not motivated by personal loyalty, what is it that gets them up in the morning? It must be because they are looking at it not as providers of healthcare but as sociologists. They are concerned about access, equality, disenfranchisement, the creation of two tiers… These concerns require a higher level of understanding. The problem, I feel, is that most of us are not influenced by these socio-political issues. We are relatively apolitical, we go with the flow, we allow changes to wash over us and hope that our lives will not be disturbed too much. Only social campaigners fight for others. The rest of us just get on. On the other hand we know that many harms were done to patients before the Health and Social Care Act came into being. The Francis report into Mid Staffs has demonstrated that all was not well with the current system. The NHS and safety are not synonymous. So I, as an individual doctor, with a small view, must accept that I am not in a position to know what is right . I am a worker. I see the decisions being made around me and I may feel comfortable or I may feel uncomfortable… but that is as far as it goes. I do not feel particularly sad to see the NHS changed. For the reasons explored above, loyalty to it is not woven into my DNA. But I do worry that the decision to take it apart was made for the wrong reasons. I worry that public representatives with vested interests voted in favour of privatization because they saw the opportunity to make profits. I worry that providers will walk away when promised returns to do not materialise. I worry that patients will be disadvantaged or put at risk… but these objections are hard to define and shrouded in uncertainty. Perhaps my middling, rather anaemic reaction to these changes is a typical one. That might explain the failure of the medical and nursing professions to rise up. I think that you are sadly right. Most NHS workers are now so ground down by repeated reorganisations and managerial bureaucracy that they struggle to just get on and do the clinical job. I am old enough to have trained under the old system of SHOs, registrars and SRs. I was appointed to an anaesthetic training programme in Oxford and spent nearly ten years there with a specialist year out in London. I felt huge loyalty to the NHS and to my vocation, but crucially also to Oxford. I had stability, an excellent training and was well known. Today’s trainees enjoy none of that. I could never have enjoyed the support and training that I had whilst having four children in today’s NHS. Importantly I knew all my consultants well and they knew me. My husband, a consultant surgeon, has no trainees allocated to him, and knows none of them (despite being very conscientious and keen to teach). My observation is that today’s trainees view medicine more as a job than a vocation (perhaps exemplified by Dr Leah Totton, the recent winner of the Apprentice). They are not motivated to fight for an NHS that has been systematically trashed over the past three years. Today’s consultants of 50+ are demoralised and burnt out, and making arrangements for early retirement. The consultants in their 40s are either having to take on managerial positions and working ridiculous hours, or trying to safeguard their futures in an uncertain medical world. I find it deeply depressing to see the founding principles of the NHS being swept away with minimal resistance from a demoralised profession. I do feel that we have only ourselves to blame. We have focussed on the highest academic qualifications for entry to medical school rather than paying equal attention to vocation. We have allowed our training systems to become depersonalised and fragmented, so that any sense of camaraderie and firm structure is destroyed. We have also become financially greedy, and in secondary care have allowed huge inequalities of income to develop based on specialty and geography. We could have united as a medical body to stop marketisation of the NHS. Society cannot function without doctors, and we could have offered mass resignation to stop encroachment of the markets. We didn’t. It is one minute to midnight. Some CCGs have stood up and refused to put services out to tender. Consultants could stand united against the demand for every trust to be a foundation trust or face Whitehall takeover. We won’t. I fear that at the end of the day we doctors have only ourselves to blame for the demise of the NHS, and to some extent it may be because we know that whatever happens we’ll still have a job. The question is, will we still have our integrity? There are far deeper reasons for apathy among doctors. The vast majority are selected from privileged families and have only experienced struggle on the sports fields or in the classroom – they are ignorant personally and historically (having opted out of humanities at an early age) of struggles for justice or power. Medical education encourages doctors to be ‘objective’ and in so doing, they are deaf to patient narratives and so even when the opportunity repeatedly arises to understand the structural inequalities that determine so much ill health and human suffering, they do not take it. Spend 5 minutes on Doctors’ trade websites (where doctors write anonymously) and you will see that doctors care first and foremost about money and about themselves. Last week a GP on one of those sites was complaining that they couldn’t afford to house and feed their children on a salary that is 5 times the national average salary. Why then do you think these doctors don’t support the NHS? Further privatisation will lead to greater personal enrichment. Medics in this country just want to be paid more and more money for doing less and less work. They claim (like city bankers) that if they don’t get paid more for less work they will all run off to Australia. So much for vocation and repaying the debt to a society which funded their £250,000 education. Medicine should stop selecting from the privileged classes (is there really any evidence to suggest that people are more “intelligent” because their parents paid for their schooling?) and should select candidates who actually have some sense of vocation and a wish to help others. And medical training is far too narrow. Where are doctors trained to think critically about the medicine they practise, medical epistemology and about society in general? “Spend 5 minutes on Doctors’ trade websites (where doctors write anonymously) and you will see that doctors care first and foremost about money and about themselves. Yes, they care about their family. They don’t care about you. You don’t care about them either. That is correct. Medics don’t get paid much. So, they should be paid for the hours they actually do. Furthermore, the so called “£250,000” is easily scrapped back through the underpayment of Doctors salaries for the first 20 years. A 1/4 million for 40 years service to the NHS is nothing. Well, yes. Private schools do better than state schools. Hence….. Yes, let’s add another 2 years of nonsense to medical training.